METAL/NONMETAL MINE FATALITY – On July 20, 2017, a miner was driving wedges into a block of granite in an attempt to break it loose. 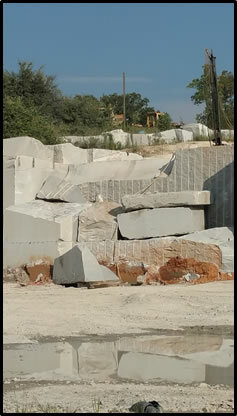 A piece of granite weighing 9 tons fell and crushed the victim against the quarry floor. Always conduct examinations of the workplace to identify loose ground or unstable conditions before work begins and as changing ground conditions warrant. 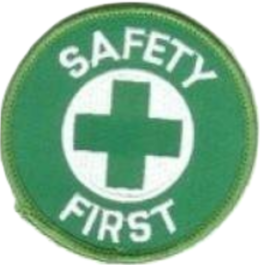 Ensure that the person conducting the examination has the training and experience to recognize potential hazards. Danger off (danger tape, etc.) hazardous conditions and prohibit work or travel in areas where hazards from unstable ground have not been corrected. This is the 6th (of an overall total of 10) fatalities reported in the calendar year 2017 in metal and nonmetal mining. As of this date in 2016, there were 9 fatalities reported in metal and nonmetal mining. This is the 2nd Fall of Material fatality in 2017. There was one Fall of Material fatal in the same period in 2016. A Georgia official says a quarry worker died after being crushed beneath 8 tons (7 metric tons) of falling rock. The Athens Banner-Herald reports 36-year-old Matthew Walter Kantala IV was killed Thursday at the Blue Sky Quarry in Oglethorpe County. Mark Bridges, the county’s deputy coroner, said Kantala was drilling a section of granite when a large chunk of rock broke away. Bridges said the worker fell 16 feet trying to get out of the way, and the falling rock landed on top of him. Bridges estimated the falling slab of rock weighed 16,000 pounds (7,258 kilograms). The federal Occupational Safety and Health Administration is investigating the death.